Zoozen Pro Tool Access Kit V2 – Open Any Console | OhGizmo! By Andrew Liszewski on 03/19/07 • Leave a comment! 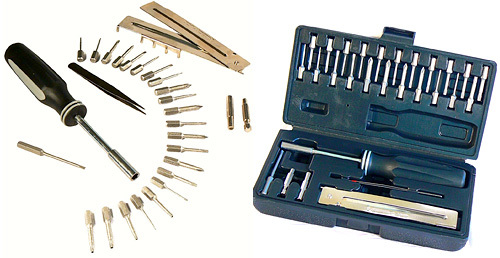 You could of course assemble all these tools yourself but since this kit is only $14.95 at Divineo.cn why go to all that trouble when somebody already has?